At the law firm of Kisling Nestico & Redick LLC, we focus our practice exclusively on personal injury and wrongful death claims as well as workers' compensation. With 10 law offices throughout Ohio, including our office in Beachwood, we are one of the largest personal injury practices in the state, and having recovered more than $450 million on behalf of our clients over the years; we are also one of the most respected. If you were hurt or lost a loved one due to another party's negligent, careless or unlawful actions, or if you are dealing with a work-related illness or injury, you can count on the attorneys at our law firm to provide you and your family with the respectful, personalized attention your case deserves. Our attorneys possess more than 400 years of combined legal experience, so we can handle your needs regardless of your situation. We understand the tactics insurance companies use to reduce or deny claims, and we will advocate strongly on your behalf to help you secure the compensation and benefits you need. Regardless of whether your claim is the result of a motor vehicle accident, medical malpractice, a slip-and-fall accident, a defective product, or any other act of negligence or wrongdoing, our attorneys will fight hard to protect your rights and entitlements while striving to hold the responsible parties accountable for the damages they caused. It will cost you nothing to speak with one of our attorneys about your case, and we will charge no fee unless we recover compensation on your behalf. 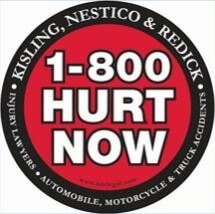 For the effective, efficient representation you and your family deserve during your difficult time, you can trust Kisling Nestico & Redick LLC for the help and support you need.